the S&P 500 to 2,950 from 2,900. The new target would translate into a 18 percent gain for full-year 2019 and 3 percent upside from the current level. 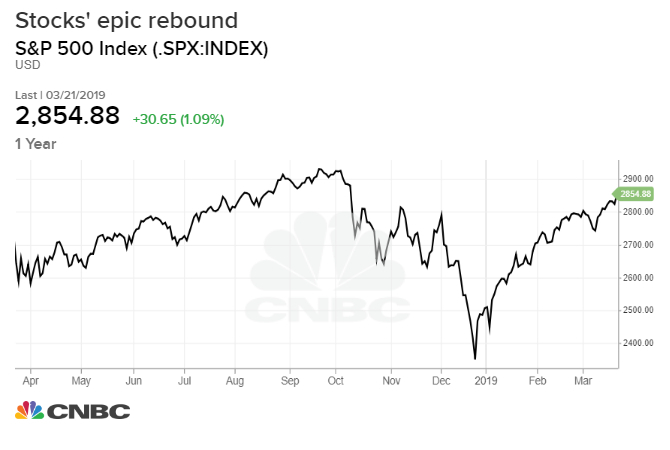 The bank kept its 2019 S&P 500 EPS forecast of $ 171, which represents a 5 percent gain. That is higher than the Street’s consensus of 3.8 percent growth this year, according to FactSet.